Respect the independence of national human rights institutions and other national human rights bodies that work to protect human rights and HRDs, and ensure that they have adequate funding and resources to undertake their mandate as independent bodies. Improve coordination between the Security Council, UN Special Procedure Mandate Holders, and other UN agencies to better address the situation of HRDs on the ground. 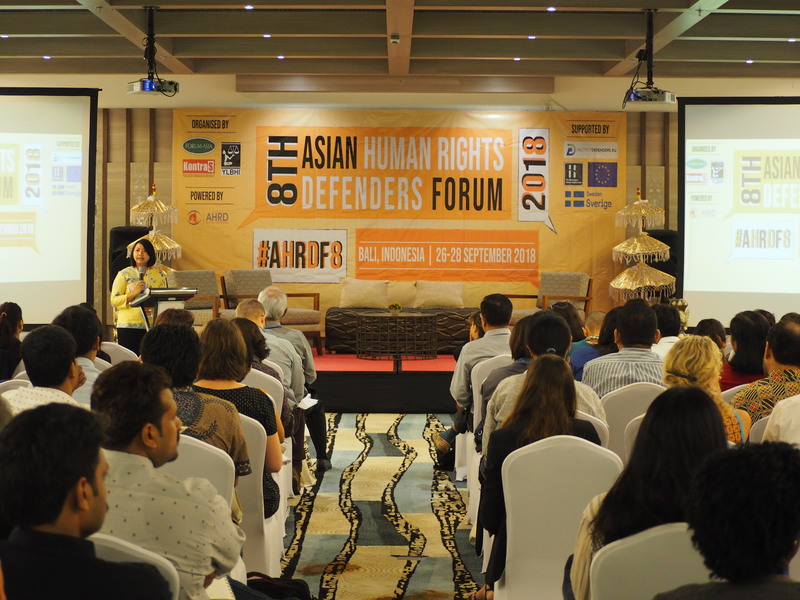 Work cooperatively with the Asia Pacific Forum of National Human Rights Institutions (APF) and other NHRIs within the region on the protection of HRDs. Ratify and/or adopt all remaining international human rights treaties and conventions that are related to human rights and allocate the necessary resources to implement them. Cease the use of private security agencies to harass and attack HRDs on the ground. Ensure flexibility with their requirements towards CSOs and HRDs, and pursue a more creative approach to support them and their demands. Encourage ASEAN Commission on the Promotion and Protection of the Rights of Women and Children (ACWC) to include the protection of WHRD and its relevant activities as part of the ACWC 2019-2020 implementation plan as a starting point to consider, and deliberate on the possibility of having a complaint mechanism similar to that existing at the international level under Convention on the Elimination of All Forms of Discrimination Against Women (CEDAW) and Committee on the Rights of the Child (CRC) as part of ACWC function as stated in paragraph 5.12 of the Terms of Reference, to propose and promote appropriate measures, mechanisms and strategies for the prevention and elimination of all forms of violations of the rights of women and children, including the protection of victims. Recognise that HRDs can exist as refugees and migrant workers and that their status as a refugee or migrant worker should not disqualify them from being recognised as HRDs.